When making a great Star Wars cosplay costume, what could be better than having the original Star wars costume designs to hand? John Mollo was a British military illustrator-turned-Hollywood costume designer. 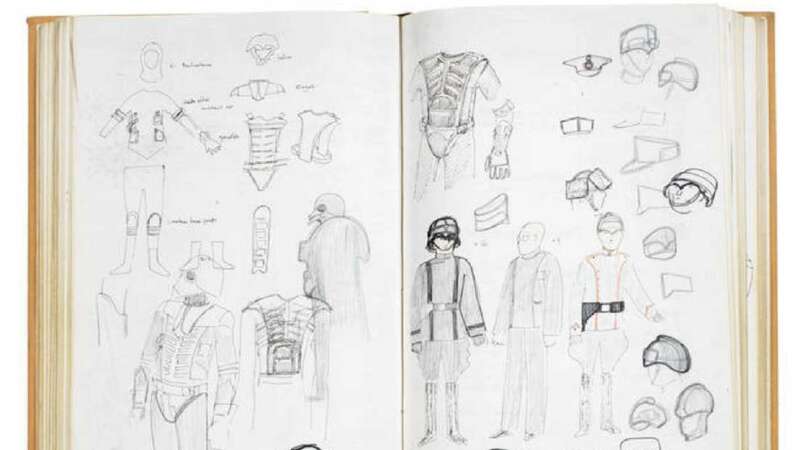 His original sketchbooks for Star Wars: A New Hope and The Empire Strikes Back will be auctioned off as part of Bonhams’s “Designing an Empire: The John Mollo Archive” sale on December 11. The sketchbooks from the first movie are expected to fetch between $130,000 and $190,000, while the books for the sequel are estimated to be worth $100,000 to $160,000. Nevertheless Mollo and George Lucas decided that the Star Wars costumes should be noticed as little as possible, so as to not detract the audience’s attention from the story. Budget was not Mollo’s only restriction. He created the first Star Wars costumes under an extreme time constraint. “I think my father put it all together in six weeks,” Tom Mollo once shared.